Latest designs of mehndi shalwar kameez come in attractive hues, sophisticated patterns and well-cut silhouettes that will ultimately draw the attention of everyone around. 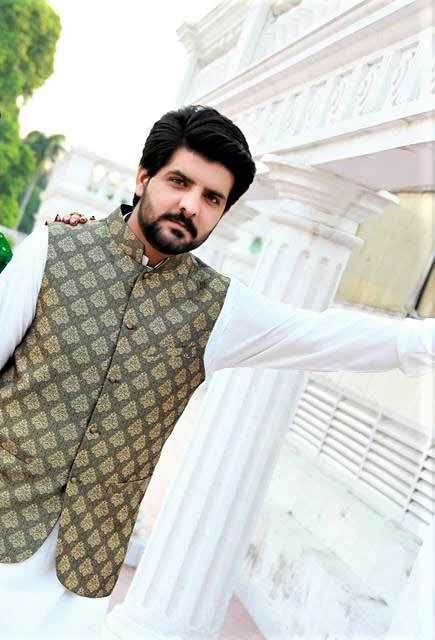 In 2019, most of the men or groom (dulha) prefers to wear a shalwar kameez (either with or without waistcoat) or waistcoat with kurta pajama on his big wedding event of mehndi function. 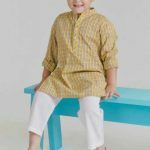 “The kurta is a loose garment with length varying from knee to calf level. They are available in different stitching styles and colour combinations. It includes Nehru style (straight cut) and Kalidar (which has two side panels that are; Kalis attached to the central panel on both front and back side). 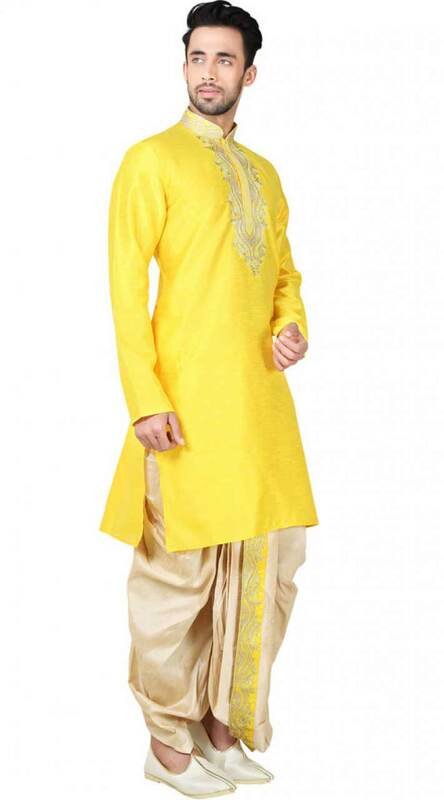 Mehndi kurta designs either have round neckline or band collar with a placket. 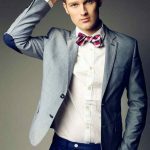 Specifically, as a groom, you may wear heavily embroidered or embellished short sherwani designs with straight pantaloons, dhoti shalwar or churidar pyjama. 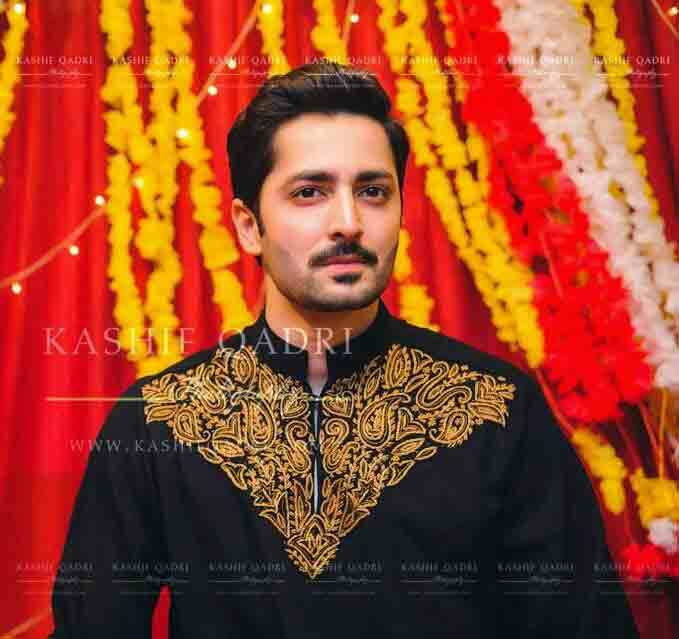 Check into the following image of mehndi kurta style for men in Pakistan and consider the sober colour combinations that are going to be trendy throughout the year 2019. 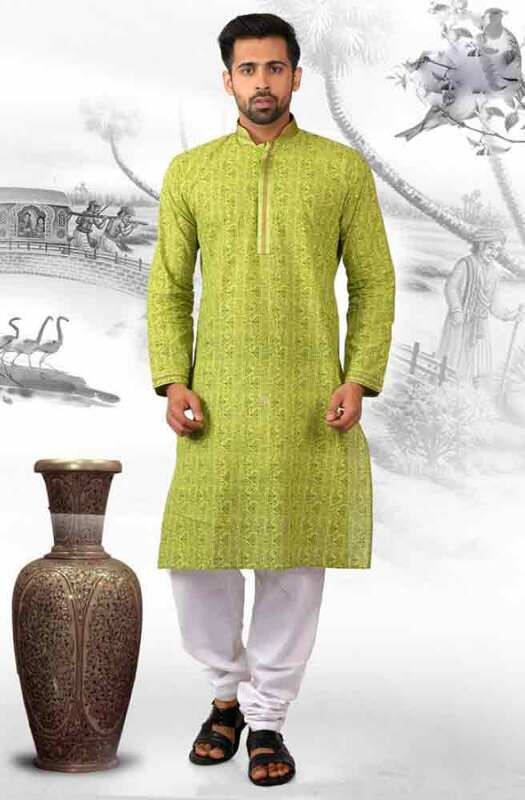 Men mehndi kurta designs and stitching styles have a subtle appeal that fascinates the onlooker. 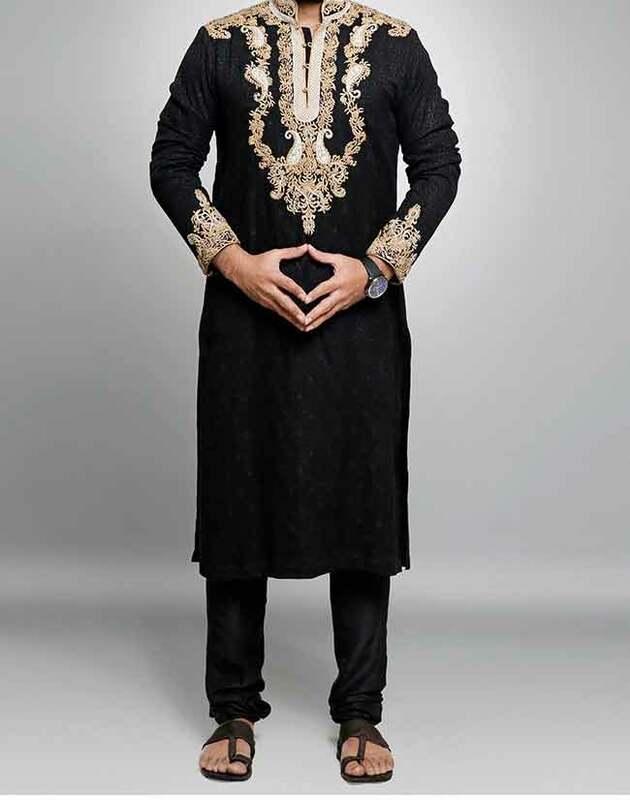 Attractive colour combinations, use of prime quality fabric, artistic embellishments and most importantly, superb stitching style makes all of these groom mehndi dresses unique and classy formal wear. 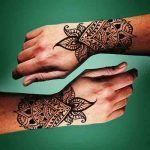 There are plenty of outfit ideas available on the internet about mehndi kurta styles for men that may confuse you while making the final selection. Do not fret at all! 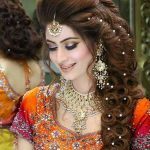 I have cracked the tough nut for you and brought you something extremely sophisticated and elegant mehndi dress collection for grooms in Pakistan. 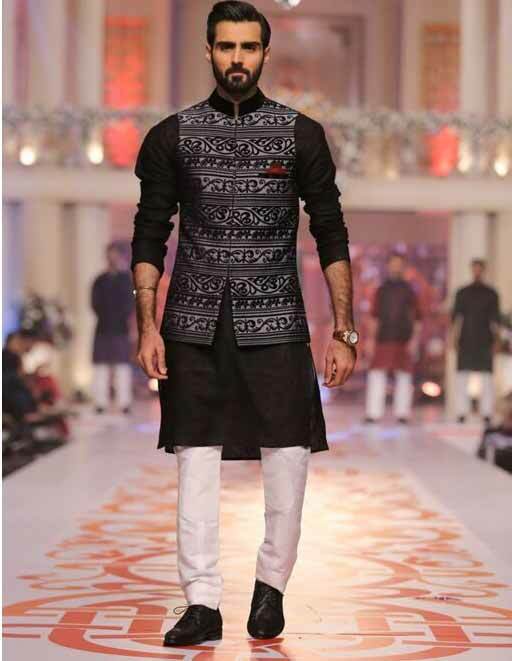 Either you are the groom or brother, cousin or just a friend of the groom, you may choose any of your favourite kurta shalwar designs (show below with images) because they are equally suitable for everyone. 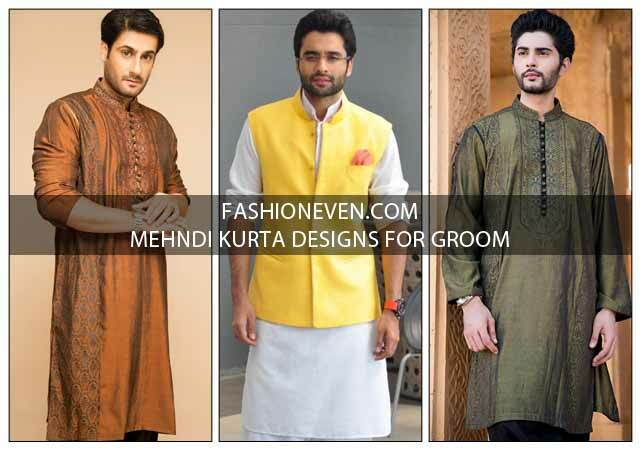 Have a look at the following images of mehndi kurta for groom. Bulky and thick fabrics must be avoided as it will make you look healthier and heavy. One should go in for silk and silk blends for formal wear. 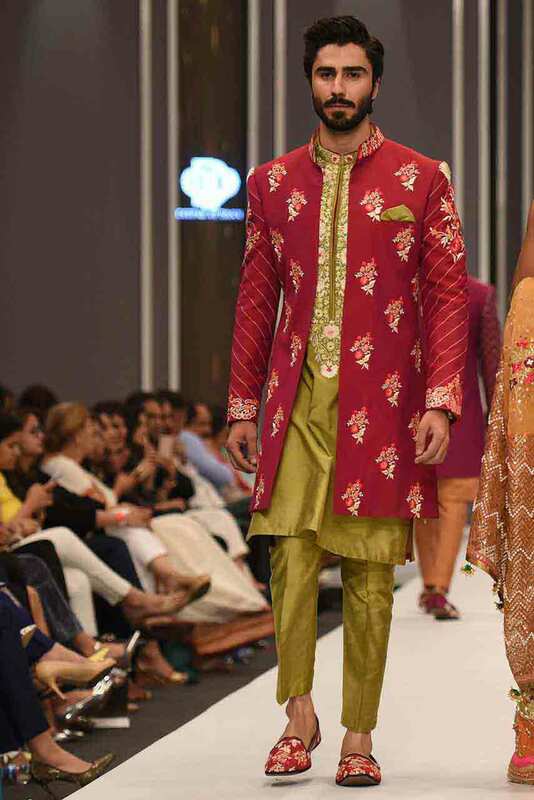 Are you looking for a sherwani instead? 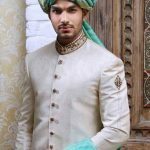 If you are a sherwani lover and you want to wear more stylish yet conventional sherwani then do not miss to check out the latest wedding sherwani designs for mehndi. 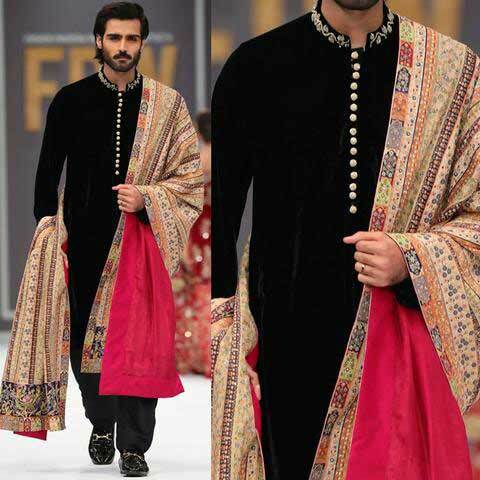 NOTE: If you are the groom, you may accessorize yourself with extra ensembles such as matching shawl for grooms (also known as dupatta or stole). 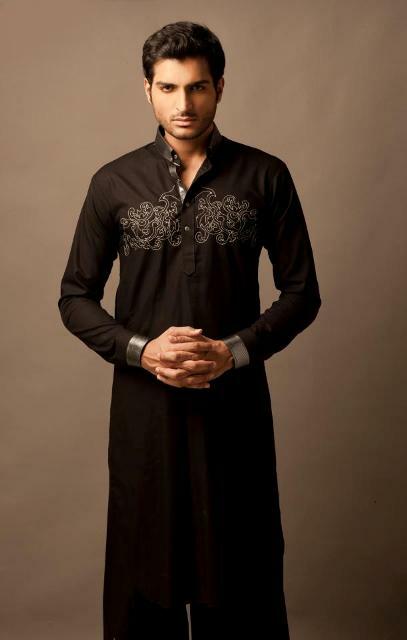 Following I have shown the latest collection of mehndi kurta designs for grooms. You will be able to see the images on the basis of most sought after colour scheme such as black, white, green, brown and yellow. Would you like to wear a waistcoat as well? Do not worry! You will see the latest collection of mehndi kurta with waistcoat designs just in a minute. 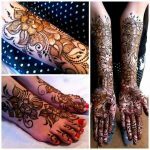 Now, let’s find out what stitching style and colour combinations of mehndi dresses will help you to attract the attention of everyone around on your big mehndi ceremony function. 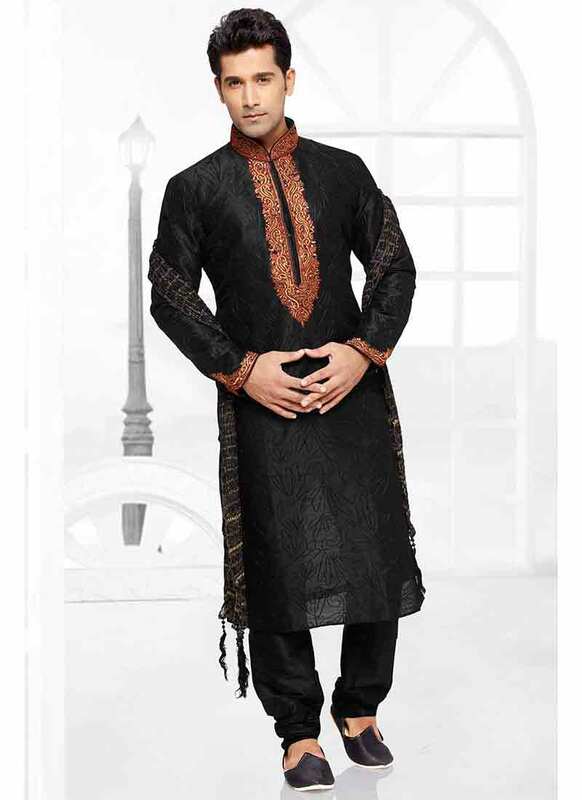 Black mehndi kurta designs typically come with golden embellishments and significant embroidery. You can wear an embellished black kameez shalwar with golden dupatta or patka (which is also known as stole). Wearing it with golden khussa will ultimately enhance the beauty of your overall apparel. 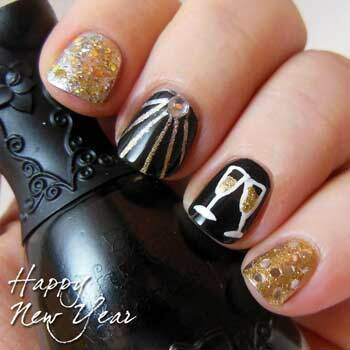 The black colour is always known as the best suitable colour for all wedding occasions. It doesn’t matter which city you belong to, Lahore, Karachi, Islamabad, Multan or Sialkot, you will find black kurta shalwar always in vogue. 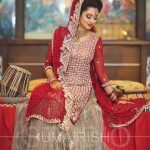 Pakistani dulha mehndi dress in white colour always look terrific when perfectly styled with Kheri or sandals and fashionable waistcoat designs. 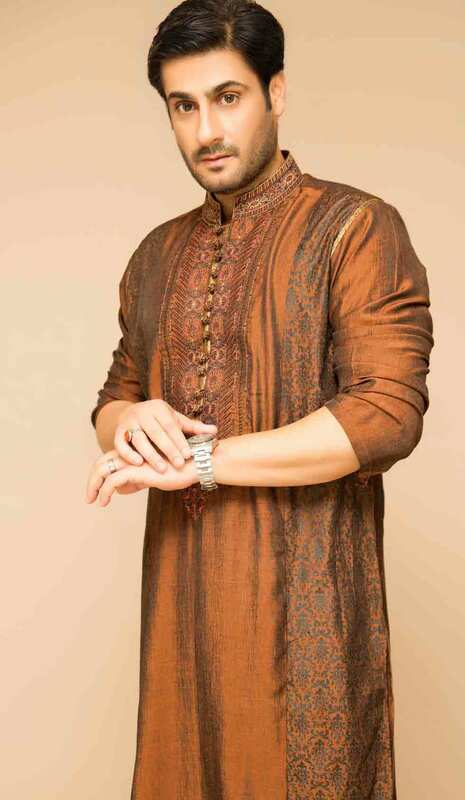 Pick out your most desired mehndi kurta style for men and influence everyone around. TIP: Pairing up embellished white kameez with golden or yellow shawl will certainly make you stand out from the crowd. 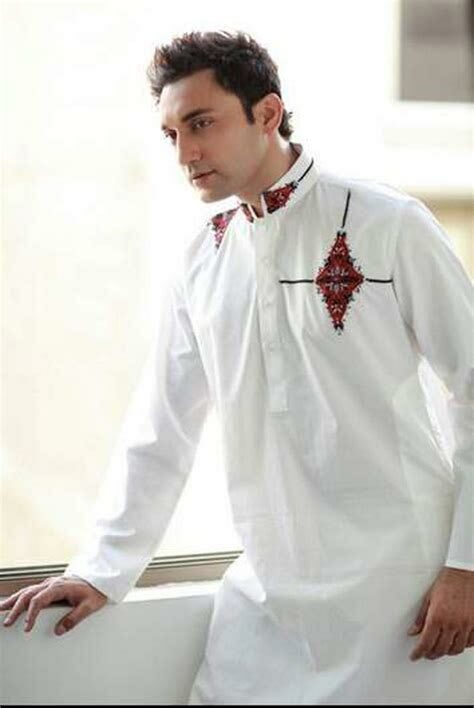 Let’s dive into the latest collection of white kurta designs. Are you still confused about your mehndi kurta designs? There is no need to worry about! 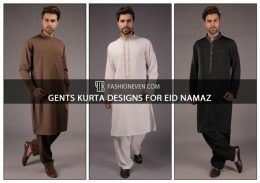 Have a look at these men kurta designs that will go perfectly if styled in a proper manner. All of these three super-attractive colours (green, yellow and brown) are synonym with the mehndi ceremony. Intricate embroidery on shoulders, front or back of kurta will assuredly look ravishing and tremendous. Go sober yet stylish with any of the following mehndi kurta designs. Another way to sparkle the charm of mehndi night, you may opt for silk fabric instead. Following I have shown not only kurta pyjama but also kurta dhoti shalwar and kameez shalwar designs that will make you stand apart from the crowd. 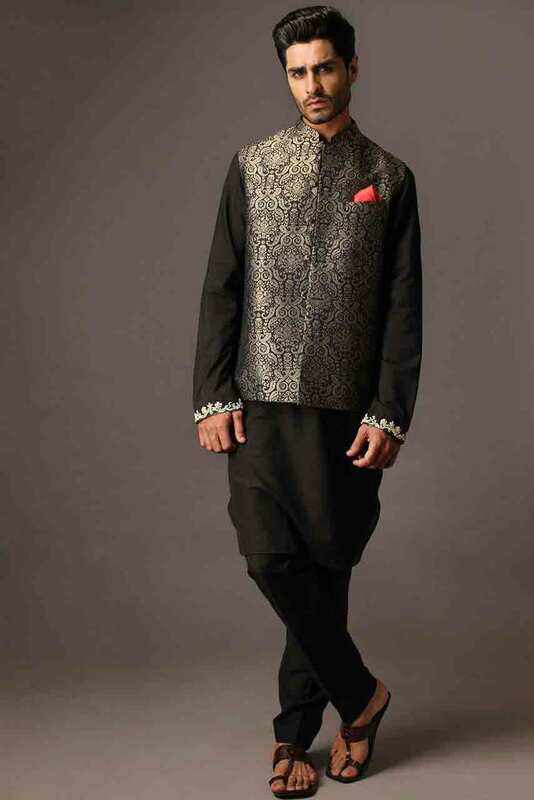 Scroll down to check out the new styles of mehndi dress for men. Here comes the most sought after mehndi kurta designs with waistcoat! 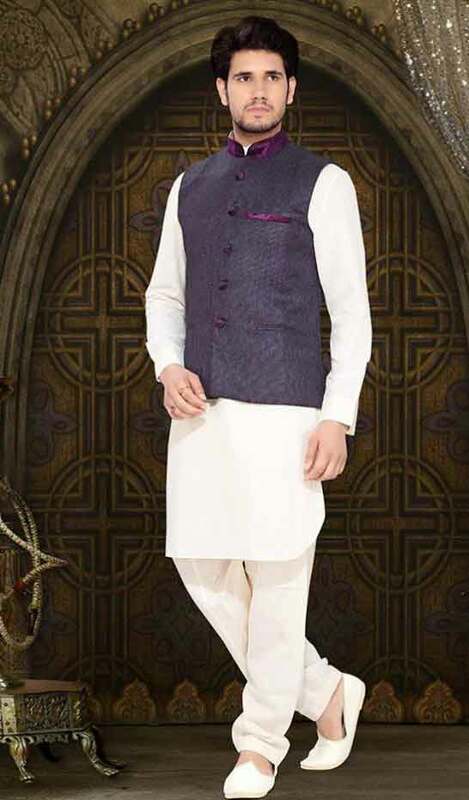 If you want to add some vogue in your super conventional kurta dress design, then make sure to wear waistcoat as well. You will certainly draw the eye of everyone! Rest assured. Following I have shown different styles of waistcoats that you can wear with any colour of kurta shalwar kameez such as black, white, green and so forth. If you choose to wear mehndi dress for groom (with a waistcoat), then do not forget to have a pocket square. As a groom, you will be the centre of attention throughout the ceremony; thus you must not forget to properly accessorize yourself. Get a wristwatch or bracelet to add a significant touch of royal and fancy taste. 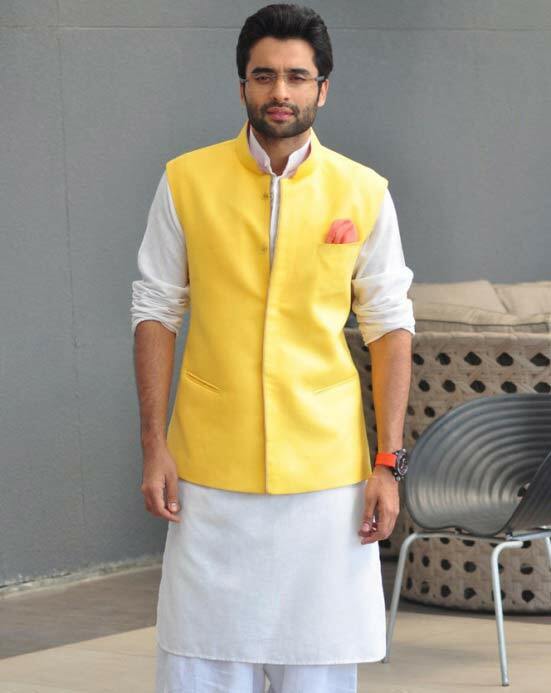 Are you aware of new short sherwani styles? 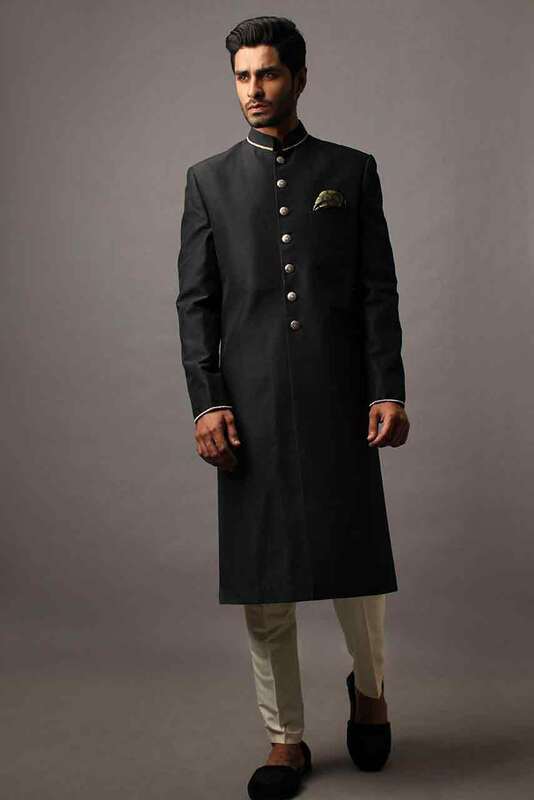 If yes then well and good, but if not; then must check out these short sherwani designs before you buy a kurta for you. 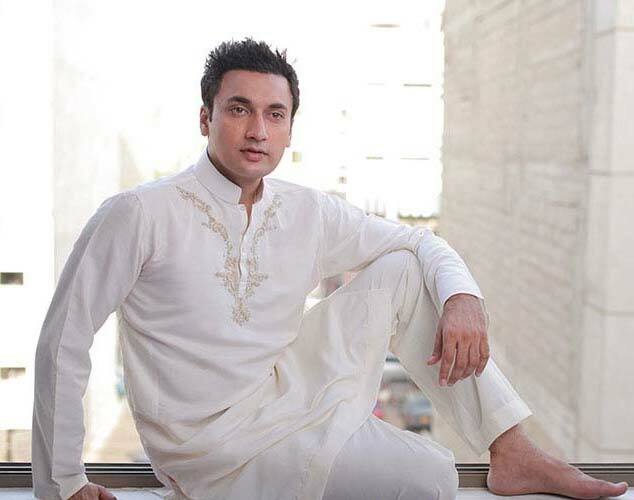 There are certain important tips that every groom must know before he purchases a mehndi kurta designs. 1. 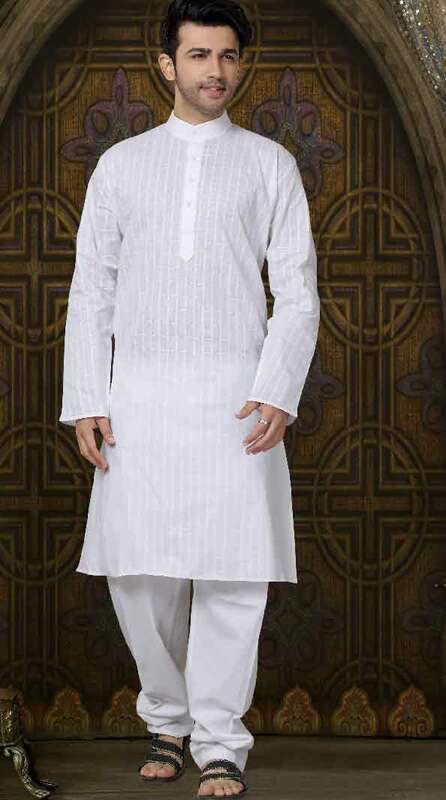 If you have an athletic body type, then make sure to wear a kalidar kurta. 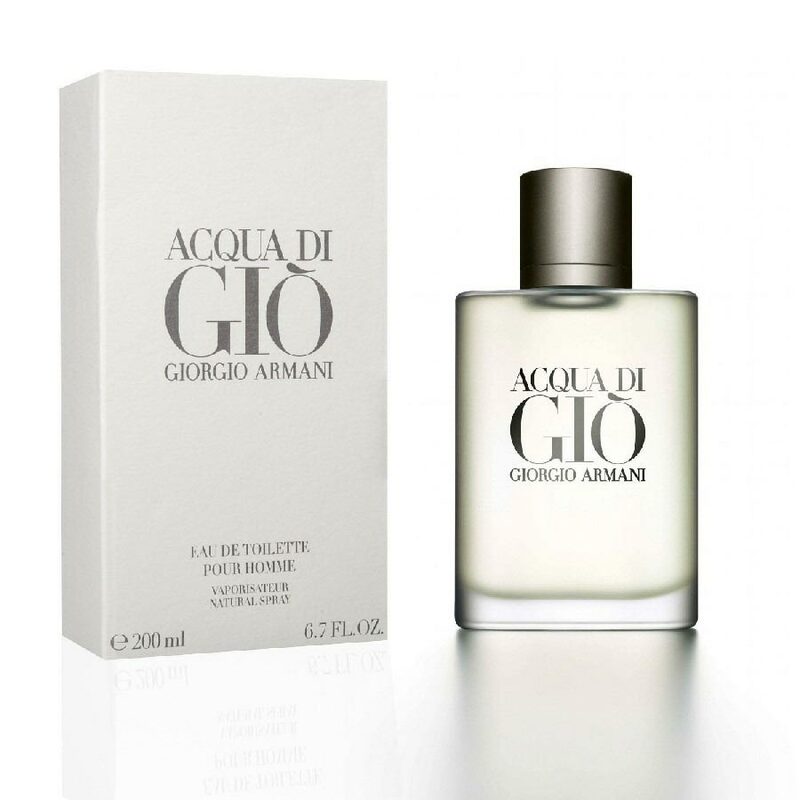 It will suit your body type as it can easily accommodate the broad shoulder and chest. 2. 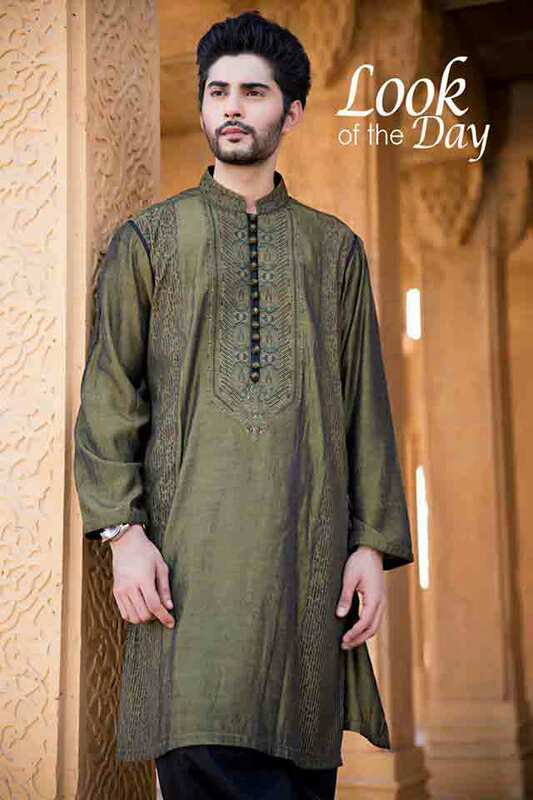 If you are tall and thin, then you must opt for straight cut kurta because it adds to the body girth visually and the collar covers the long neck. Do you have got any idea about which shoe style will go best with kurta? If not, then do not fret at all, FashionEven has got every solution for your fashion and style problems! 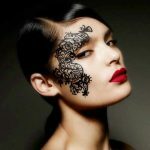 Must check out the latest mehndi khussa designs that will certainly grab the attention of everyone around. 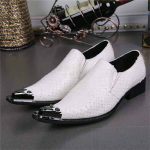 You may wear these traditional wedding khussa with either sherwani or kurta pajama. 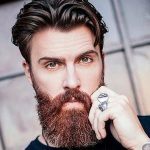 Numerous wedding fashion designers are working day and night to introduce unique fashion trends and spread words of style and vogue with innovative kurta designs. I express my deep appreciation to all of them, because of their artistic skills and creativity, we are able to discover ourselves with something classy and modish. 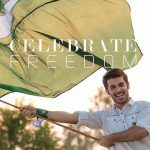 Most of the designers are providing their services not only within the boundaries of Pakistan but they have reached the international markets as well. This collection is truly the synergistic product of a team of designers. Without their tireless, wholehearted. and unique contributions, it never would have come about. The latest collection of mehndi kurta designs is full of attractive and captivating colours. Choose your favourite kurta shalwar kameez designs and grab it from your nearest outlet. If you are wondering to know about the prices of any of these kurtas for mehndi function, then feel free to leave your comment below or make sure to contact me via a contact form. 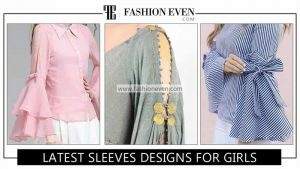 I am passionate to introduce the latest fashion trends, thus I would love to reply to each and every query regarding mehandi kurta designs as soon as possible.